Our product range includes a wide range of thrust roller bearing for submersible pump. Being a quality centric organization, we strive hard to come up with a wide range of Thrust Roller Bearing for Submersible Pump. This clutch bearing is developed with the help of premium quality material in compliance with set industry standards. 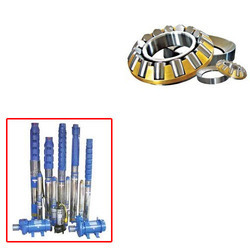 Our given clutch bearing is used with external radial support to hold the shaft and housing concentrically. We are providing this clutch bearing to customers within a given time frame at competitive rates.